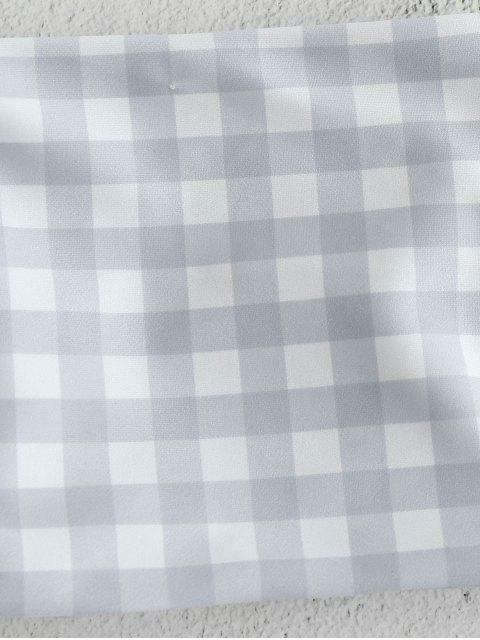 [53% OFF] 2019 Lace-up Gingham Bandeau Bikini In GRAY CLOUD | ZAFUL ..
Just get in on the gingham trend to have fun on beach holidays! 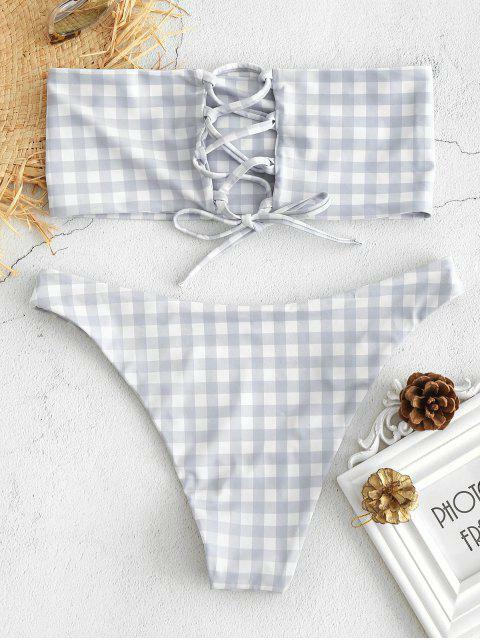 Simple but chic, this bikini set features gingham all over and has a tube top with adjustable lace-up details at back and a pair of cheeky high cut briefs to complete the look. The bikini top is designed with removable sponge pads that you can keep or remove them as you like. Style the bandeau top with denim shorts will look perfect!